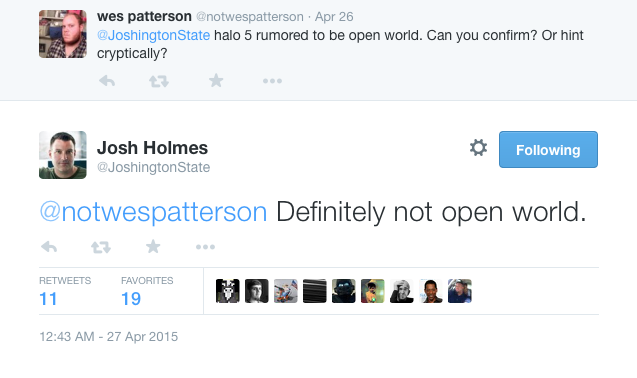 Yesterday was a bonanza if you were looking for some answers about Halo 5. I’m actually a little bummed about this. I liked how ODST’s campaign was. But it’s certainly not a deal breaker. After all, the previous campaigns with Chief have all been linear. Okay, so which weapons was Josh smiling about? 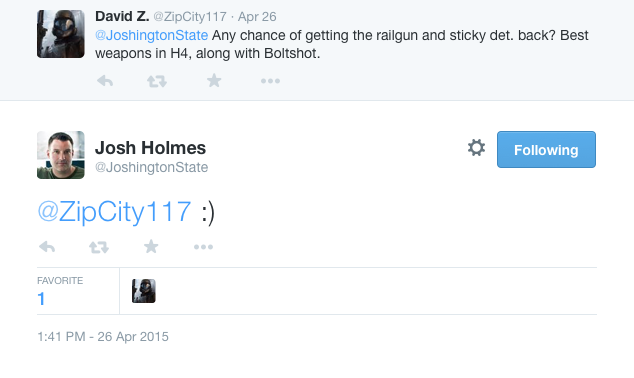 Of the three, I hope the Boltshot is OUT. 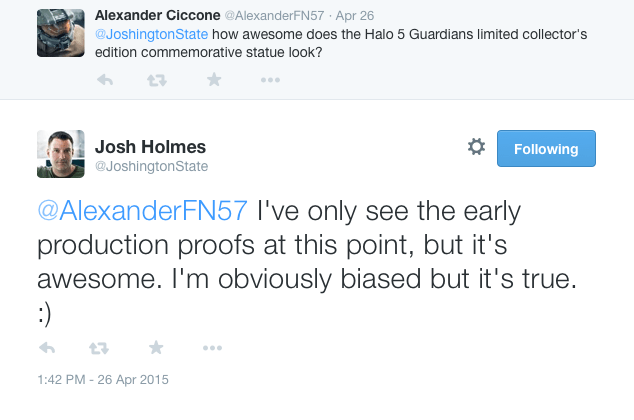 343 have pretty much said so, though not in exact words. I can’t wait to find out more about this. I for one am glad both are back in. 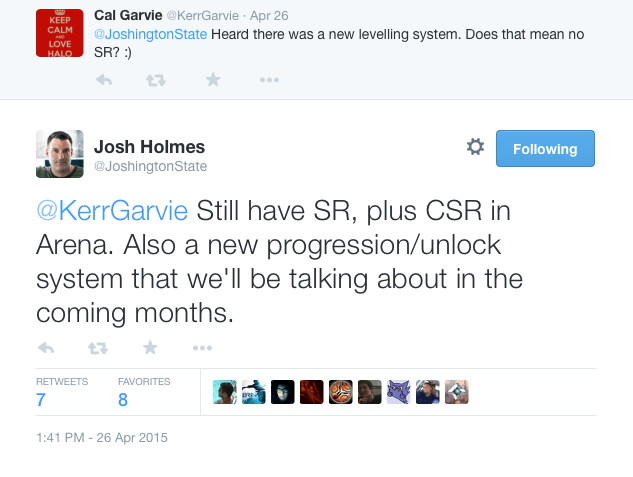 The progression/unlock system to me seems to be something similar to both Reach/Halo 4. Once you attain a certain level you’ll unlock armor variants. At least I’m hoping so. 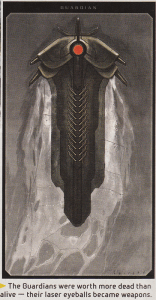 I liked the way it was in Reach where you could pick which armor you wanted to unlock if you had enough credits. One thing I hope happens is that unlocking armor happens SLOWER than Halo 4, but faster than Reach. I unlocked everything in Halo 4 in, IIRC, 40 days. In Reach it took me 9 months. This is another thing I want to see and I know many others do too. What might the statue be? Chief? Locke? Both? 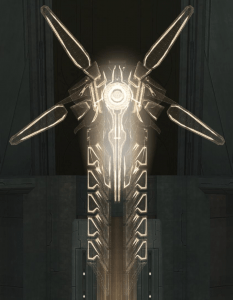 The ‘Guardian’ construct from the E3 2013 trailer? I think once that is revealed, we’ll see a jump in orders for the limited edition. Interesting. I didn’t master the Ground Pound in the beta, so I’m going to have to practice that one a lot when the game comes out. Ah, now THAT is some great news. 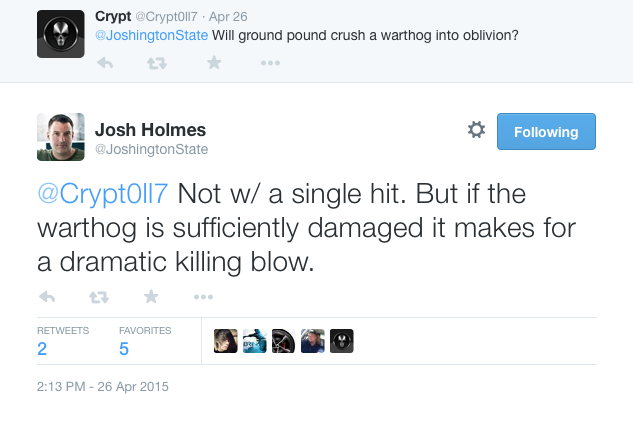 Though, I think Josh should have said a playable version at E3. 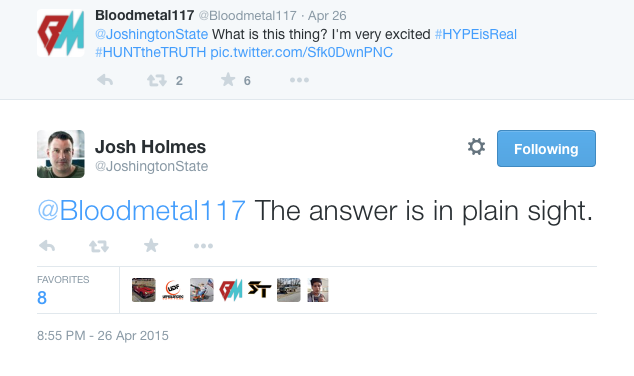 It’s likely the game will still have things to have worked on after E3. The pic that is linked to in the above tweet is this: We’ve seen that before in the E3 2013 trailer. Now it’s reappeared again. Now if you wonder what that is, my friends over at Halo Archive think they have the answer and I am agreeing with their surmise. Okay, so that is cool news! 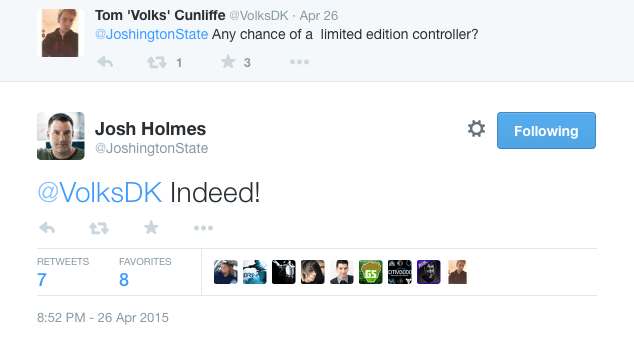 And to follow that up, Josh even lets loose that there will indeed be a limited edition console. Man, I hope I have enough money saved for that, to replace the one I have that got fried by electricity back in February! All in all, some great questions and even better answers! THA: Awesome stuff captured here. 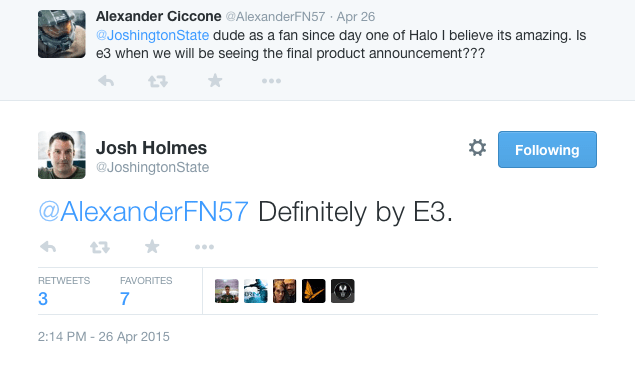 Big thanks to HaloFanForLife for compiling this info!